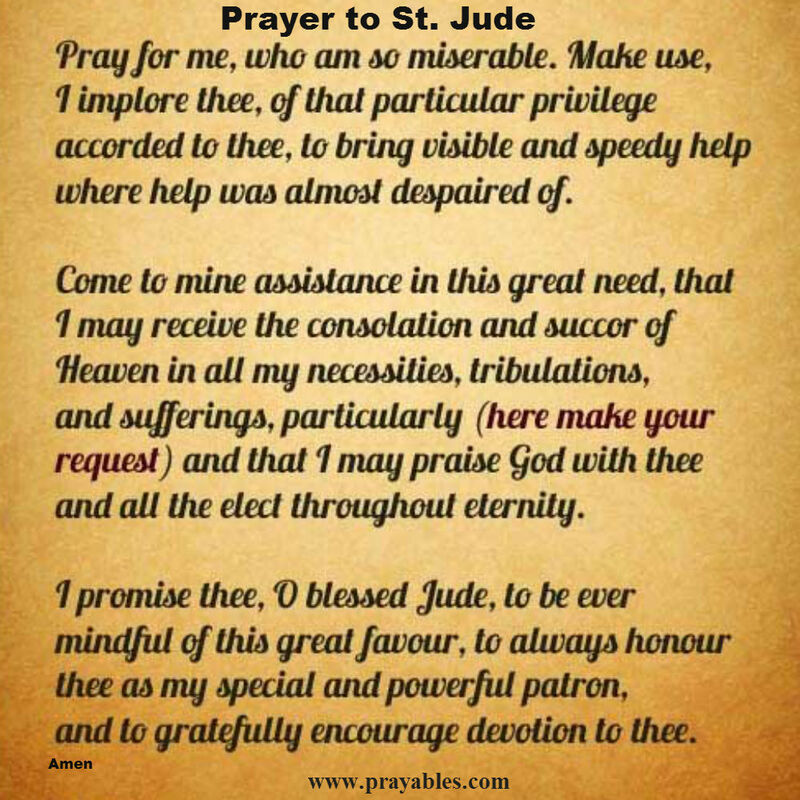 Here are prayers for healing that everyone can use. 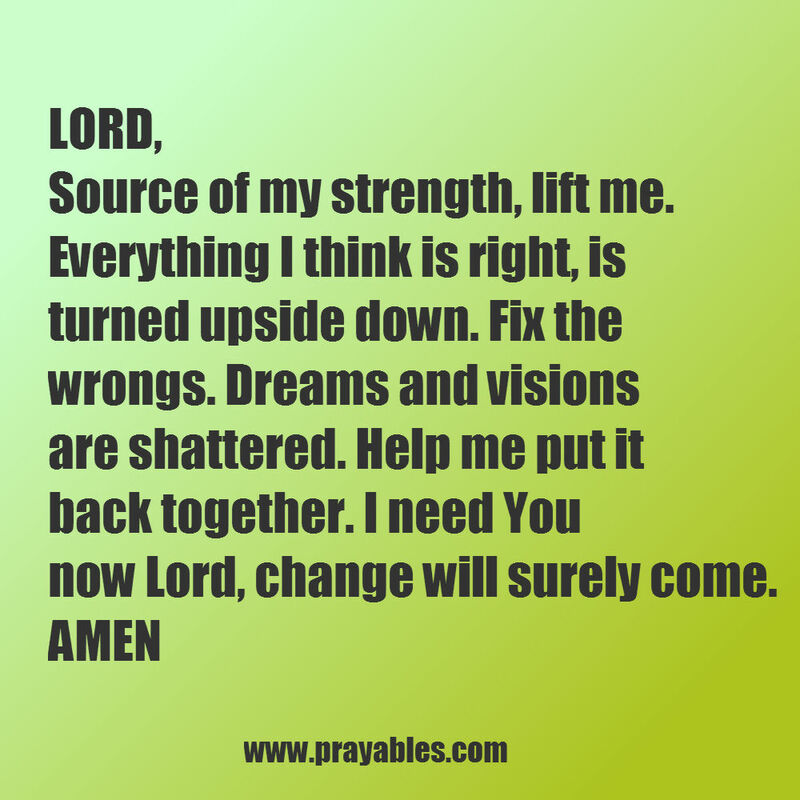 When accidents happen or disease appears, pray for recovery. Is your spirit sagging? Does your mind ache? Are you feeling like your body just won’t co-operate? Pray. A broken body is a painful thing. Sure, the healing hands of medical professionals is a go-to solution. Yet there’s more you can do. Something the doctors can’t. You can offer prayers for healing of the body that reach God’s ears and touch God’s heart. When the wires of the brain get crossed, the mind loses its ability for sharp focus. The head gets foggy. Nothing is clear. Mental health experts will try therapy. A doctor will prescribe pills. Alternative methods like diet and accupuncture will be suggested. All good options to explore. But remember to add prayer. Pray when you, or someone you know, is showing signs of depression, anger, or confusion. Let God get inside the head that needs healing. Woe to the tortured soul. Maybe you know the feeling. Doubt. Fear. Exhaustion. An unexplainable soreness that won’t go away. Don’t neglect the soul when offering prayers for healing. Humanity lives in the soul of each and every person. It’s the future. It’s the past. It is present. The soul is the very essence of goodness and needs to be healthy. God loves your prayers for healing and hears them. Be the connector of hurt to healing. Keep someone special in your prayers today. They need of healing. Be the prayer force that gets them through it. Do it by offering prayers to God. 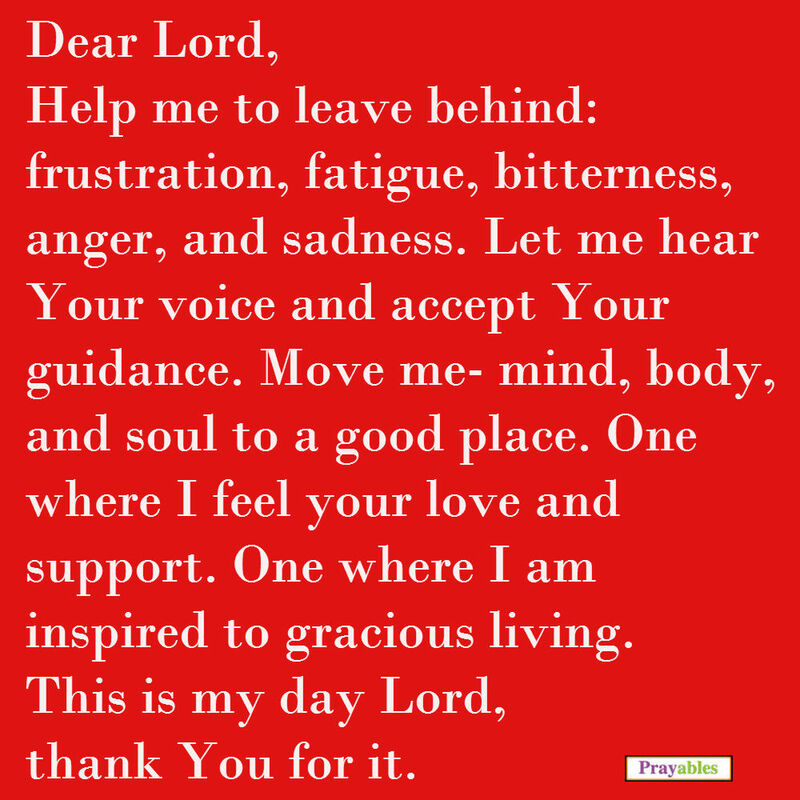 Pray with these inspirational prayers, or come up with your very own. It’s magical to imagine a cluster of heartfelt prayers swirling up to the heavens. And it’s true, there is a little bit of hocus-pocus when you pray. Why speak of magic and spirit in the same breath? Because even though God is invisible to the human eye, He lives in every heart. Express the prayers of your spirit. God is all-knowing, all-seeing, all hearing. 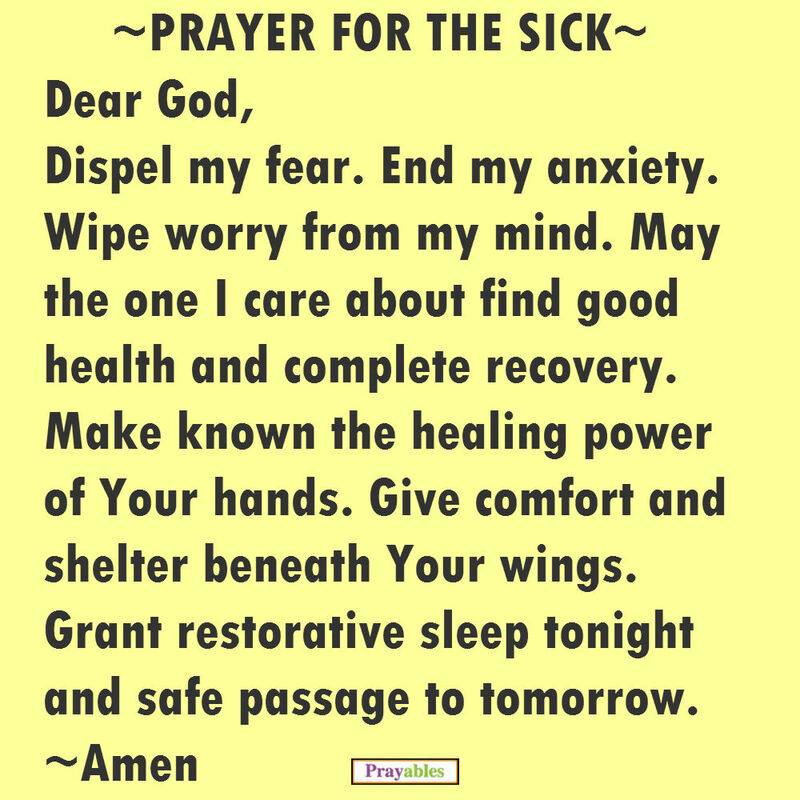 Share prayer today and be well. Can someone please pray for me. I have depression and anxiety and feel sick all the time. I know is just in my mind but can’t control it. My body hurts and I can’t get my self in track. Penny, we are praying for a return to good health of mind, body and soul. Sending blessings your way dear friend. Be well. Penny, it is not just “in your mind.” Depression and anxiety are real and stem from many diverse situations, pressures of life and often have a biological component. I know this first hand. If you are feeling like this often and are overwhelmed, there are good people who can help you to get the medical, emotional or social support that you need. Do not feel that you need to minimize or be ashamed of these feelings. 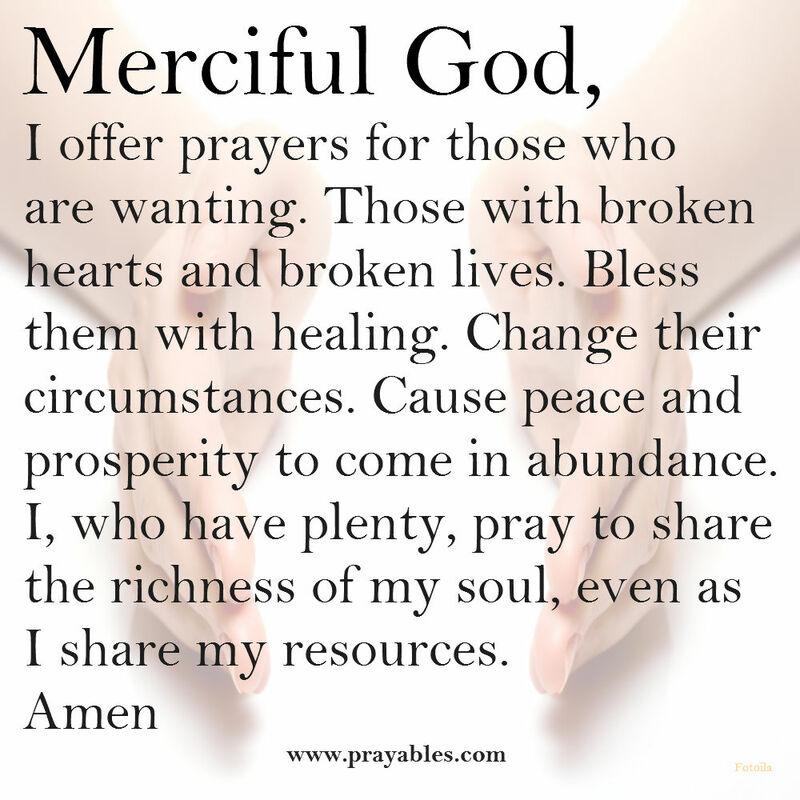 I am praying for you to find help, acceptance, love, healing and ultimately joy in your life. You are not alone in these experiences or feelings. You are loved and loving and are worthy! Keep praying. Seek and ask God for his will for you. Seek who he is, and make the changes in your life he wants you to make. But pray always because He is our life! God bless you! Gina, we are praying for your complete and full recovery. God bless. Be strong, and may God give you relief from the problems tormenting you. Blessings to you mother – be well. I encourage you to sing praise songs, especially ones that have scripture in them, eg As the deer pants for the water, Living under the shadow of His wings, etc. As you get up in the morning, all through the day and in the evening as the sun goes down. I know it will be hard but God is in the business of raising you up and getting rid of negativity. 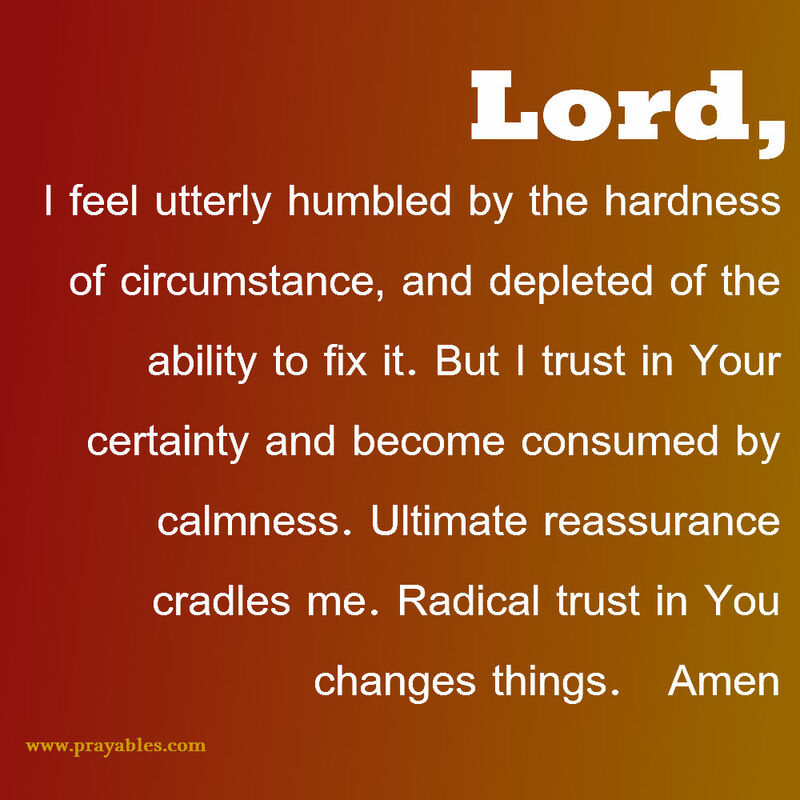 Please prayer for me as I feel anxiety had over taken my life. Ana, you are in our prayers for release of the anxiety you feel. God bless. Deborah, we’re sending blessings your way so that you may find comfort for your grief and someone to encourage you. God bless. Please keep me in prayer. I did lose my husband it’s going on 8 years this November. I am tired of living from check to check. I relive the loss everytime I hear about it from someone who saw it on news. I need prayer also for my work place. I am a teacher I have received my degrees I have put in applications here and there and nothing. It seems like I’m stuck where I am at where there is favoritism…favortism…favoritism. Pray for my daughters. One is married and her marriage is not good. Her husband left her with 3 precious grandbabies. My other daughter ended up with a person who is a womanizer. Going out with women after women not to mention a married one as well who is old enough to be his mom. I am tired. Because I am carrying the load of burden of my own and my daughters as well! Thank you and God bless You! Thank you for sharing, your story touches the heart and deserves the power of a community in prayer…for you. I will post your prayer request in the Daily Blessings and ask for everyone to keep you in their prayers and offer encouragement. We will be back in touch. I have been dealing with pain in my lower abdomen (on the left side) for a year now. I had laproscopic surgery to look at my tubes and ovaries for endometriosis and found none. I had a ct scan which showed an abnormality at the L1 and L5 disks. And at the tome I had no back pain. (Scan was for something else). The pain is back, along with pain in my lower back, pain in my thigh, and now major bladder and bowel problems. Top it off with constant headaches. Im struggling to use the bathroom and feel like i need to go constantly but cant. The pressure on my bladder is hard to handle. I have been checked for a UTI over and over and it comes back clean with a small trace of blood. I am terrified. I keep going to the dr, urgent care, etc. and I am not finding out answers. the next steps are an mri of my spine and being referred to a urologist. I am scared of the worst, what if its bladder cancer?? I have not been able to control the pain or control my anxiety and fear. I refuse to take pain meds because it causes constipation which only makes the matter worse. It is consuming my life. I have prayed and prayed and feel defeated and scared. To think I was devastated because We have been trying to have a baby for a year, and keep having early miscarriages. Now i am scared of such worse. I am only 32 and have 3 young children. I want to enjoy everyday with them. Dear Tami, Believe that prayer works for you too. Your Prayables community is praying for you. You are supported and loved. God bless.